When it comes to making the most out of the holiday season, Island County residents let nothing stand in their way! 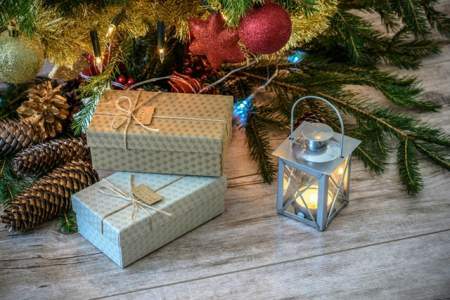 Check out these Island County Christmas events and activities when you’re adding fun things to do to your holiday calendar. 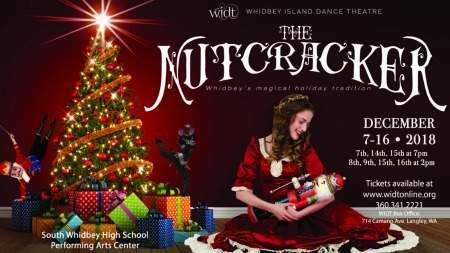 The Whidbey Island Dance Theater is putting on a performance of The Nutcracker for the holiday season. Performances are scheduled for December 7 – 16 with show times at 2 PM and 7 PM, depending on the date of the performance. 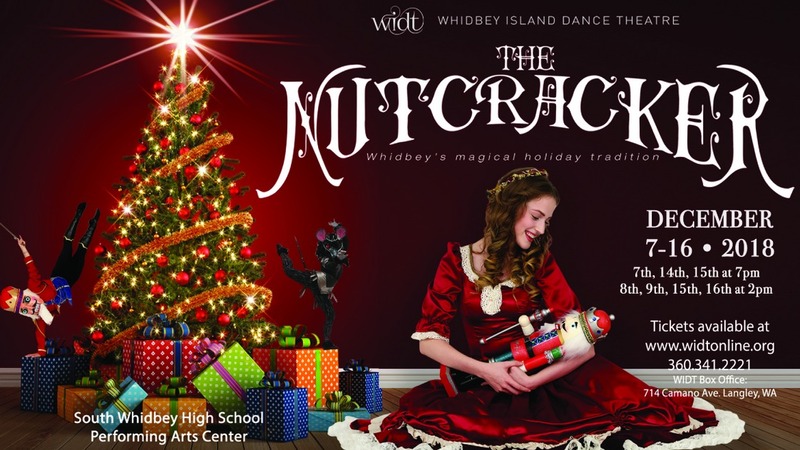 The Nutcracker performances take place at South Whidbey High School Performing Arts Center. Purchase tickets here or call 360-341-2221 for more information. 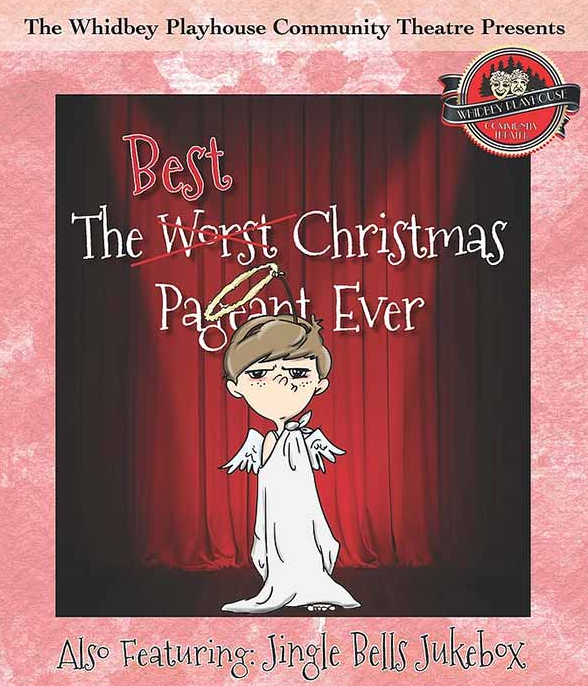 Presented by the Whidbey Playhouse Community Theatre, The Best Christmas Pageant Ever is scheduled for November 30 – December 16. Show times are 7 PM and 9 PM, depending on the date of the performance. The Best Christmas Pageant Ever performances take place at the Whidbey Playhouse in Oak Harbor within the 98277 zip code area. Purchase tickets here or call 360-679-2237 for more information. The town of Coupeville is gearing up for the 8th Annual Coupeville Holiday Market that takes place December 7 – 8. The event takes place from 10 AM – 5 PM each day and admission is free. 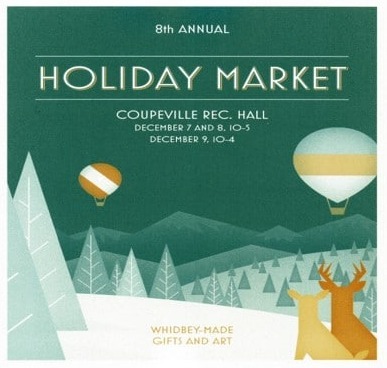 The Coupeville Holiday Market takes place at the Coupeville Rec Hall at 304 Alexander Street in the 98239 zip code area. There will be art, photography, jewelry, glass, greenery, and more at this year’s market. The Whidbey Island Center for the Arts is presenting Owen Meany’s Christmas Pageant from November 30 – December 15. Performances take place at 7:30 PM and 9:30 PM, depending on the date of the performance. Owen Meany’s Christmas Pageant performances take place at the Whidbey Island Center for the Arts located at 565 Camano Avenue in Langley within the 98260 zip code area. You can purchase tickets here or call 360-221-8262 for more information. 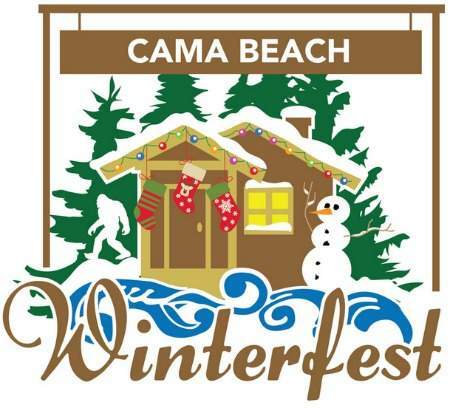 The Cama Beach Foundation is sponsoring the Cama Beach Winterfest that takes place throughout the month of December. Activities include wreath making, gingerbread house building, cookie decorating, candle making, and so much more. Events include performances by the Stanwood High School Jazz Band, the Heartstring Band, and the Harmony Northwest Chorus. There’s also a tree lighting, an old-fashioned cabin, Santa & Sparky with the Fire Truck, and storytelling by a Yule fire. Get a look at all the events that are planned here. Many events are free, but you’ll need to check the schedule to see which ones have a cost. Cama Beach State Park is located at 1880 SW Camano Drive in Camano Island within the 98282 zip code area. Light Up Your Holiday at the Admiralty Head Lighthouse at Ft. Casey State Park on December 8th. Festivities begin at 11 AM and end at 4 PM. 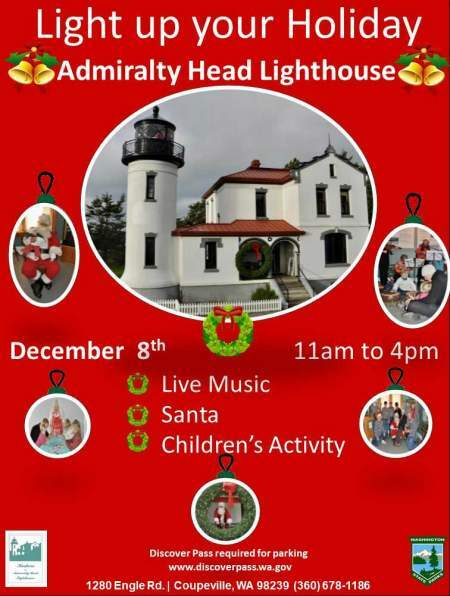 This event takes place at the St. Casey State Park located at 1280 Engle Road in Coupeville within the 98239 zip code area. For more information, check their website or call 360-678-4519. The Whidbey Island Center for the Arts presents a Solstice Concert: Duo Flamenco – Eric & Encarnacion – Flamenco en Navidad, with special guest Judith Adams. This event takes place on December 20th from 7:30 PM – 9:30 PM. The Solstice Concert – Duo Flamenco takes place at the Whidbey Island Center for the Arts located at 565 Camano Avenue in Langley within the 98260 zip code area. You can purchase tickets here or call 360-221-8268 for more information. Get in the spirit of the holidays with a combination of jazz and swing tunes that feature Eric Vanderbilt-Mathews. The event takes place on December 16th from 7:30 PM – 9:30 PM. 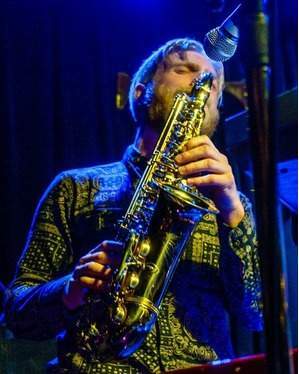 The Good Company Holiday Concert takes place at the Whidbey Island Center for the Arts located at 565 Camano Avenue in Langley within the 98260 zip code area. Get more information at their website or call 360-221-8268 for ticket information. The Coupeville Historic Waterfront Association is sponsoring the 3rd Annual Caroling in Coupeville content and fundraiser. This event takes place December 22nd from 12:30 PM – 3:30 PM. 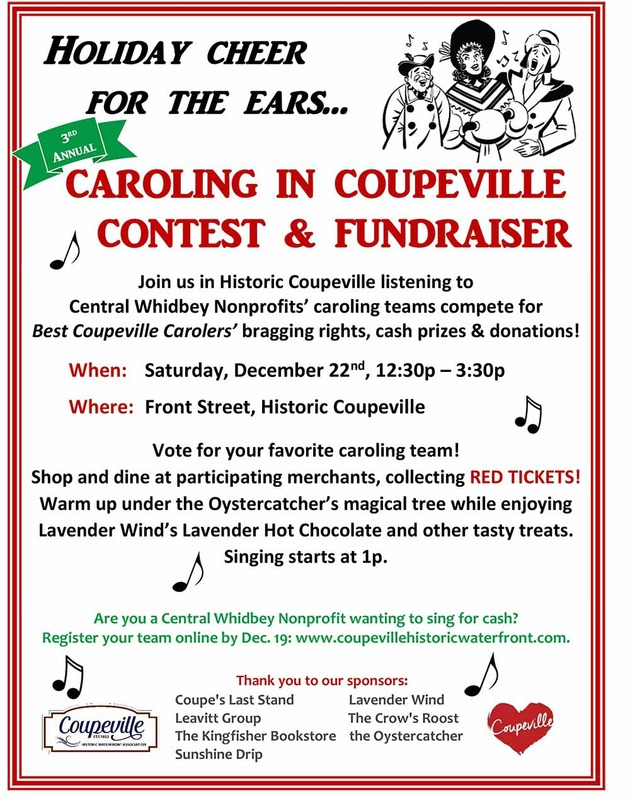 The Caroling in Coupeville event takes place on Front Street in the Historic District of Coupeville within the 98239 zip code area. For more information, call 360-682-6400. Check out these Island County Christmas events and activities when you’re adding fun things to do to your holiday calendar.